If there’s any day of the week that gets a bad rap, it’s Monday. Whether heading into a new work week or a homeschool Monday, something about letting go of the weekend and starting a new week often leaves folks dragging their feet. Believe me, I get it. Mondays can be rough. Before I became a homeschool mom, my Monday mantra was this: Mondays are a terrible way to spend 1/7th of your life. Aren’t you thankful that a homeschool Monday doesn’t have carry that dread? While there’s still some hustle and busyness that comes with starting a new week, you can enter your homeschool Monday prepared, renewed, and ready to keep calm and homeschool on. I no longer dread Monday. In fact, it’s my favorite day of the week. Your schedule may be different from mine, but Monday is the only day each week that I don’t have responsibilities outside of my home. If there’s any day I can embrace, it’s Monday. Maybe that’s not the case for you. Maybe homeschool Mondays are downright overwhelming in your home. Maybe your Mondays feel chaotic instead of accomplished. Just know that it doesn’t have to be that way. Weekends are busy for many of us, but resting well on Sunday evening makes a huge difference in having a strong start to a new homeschool week. Entering Monday exhausted from a busy weekend usually guarantees a rocky Monday. Regardless of what happens Saturday, Sunday morning, or Sunday afternoon, be sure to get plenty of sleep Sunday evening. A good night’s sleep on Sunday is the best gift you can give yourself for Monday morning. That, and coffee. Coffee always helps. Real homeschool life comes with schedule interruptions, unexpected errands, and allergy seasons. That means your homeschool schedule is subject to modification with no warning at all. That’s why I plan our homeschool two weeks at a time. I can easily prepare for the week ahead while being mindful of the supplies needed for the following week. Where does homeschooling Mondays fit into all of this two-week planning? 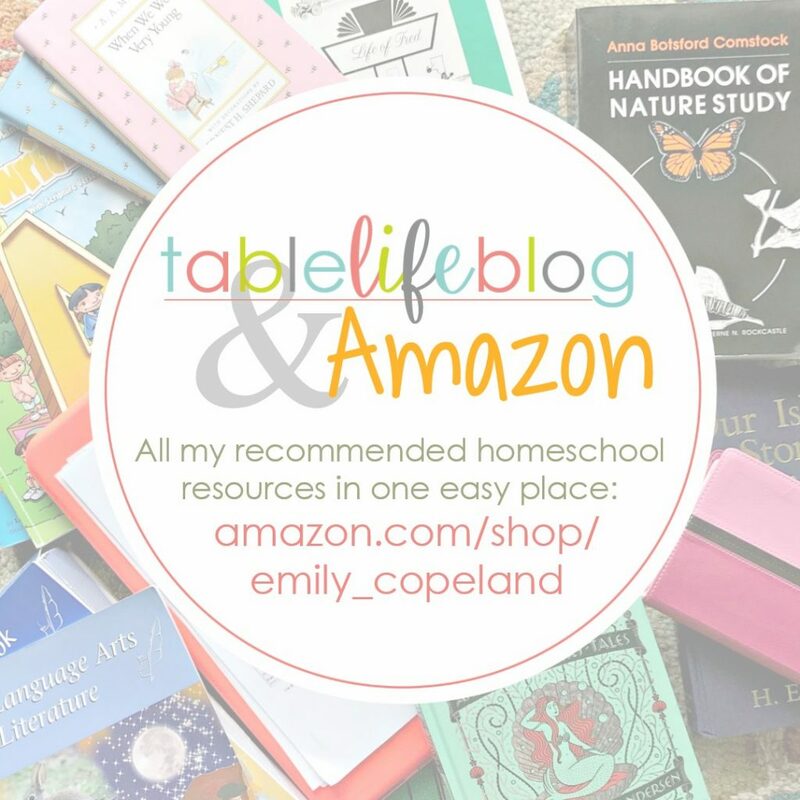 I have yearly, quarterly, and monthly homeschool goals, but planning our homeschool in small blocks keeps me present in the here and now, but aware of what’s needed in the upcoming days. That makes Monday manageable because it’s easy to be prepared. In turn, I’m less stressed because I’m not scrambling to gather supplies at the last minute or skipping activities or projects altogether. 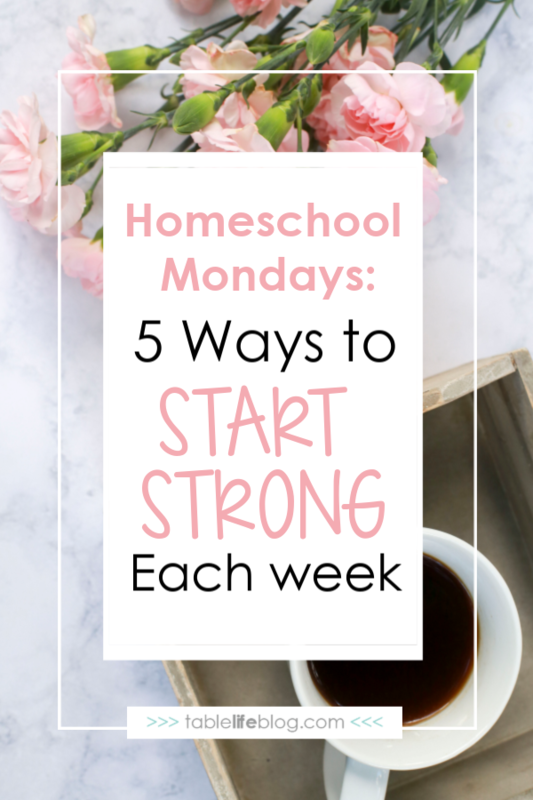 One key element to starting strong each week is to be realistic with your homeschool plans for Monday. If Mondays are generally rough for you or your kids, the last thing you want to do is to tackle an endless to-do list. That’s a surefire way to kill the joy of learning and set yourself up for failure as the week goes on. Instead, focus on reasonable plans for Monday. 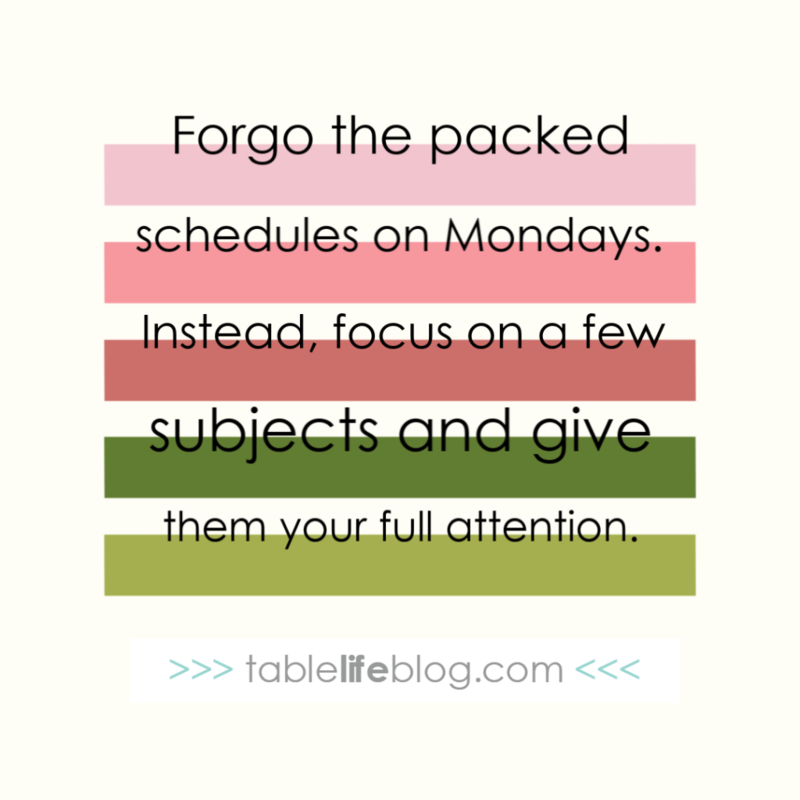 If your Monday homeschool goals only cover three or four subjects, you can tackle them and tackle them well while avoiding the overwhelm that comes with a packed schedule. One of the best things you can do to prepare for Monday in your homeschool is to gather everything needed on Sunday evening. That paves the way for a peaceful start to your homeschool day and a smoother homeschool week. I do this by looking at my two-week homeschool plan, gathering any non-regular supplies or reading materials, and checking for any printed items that are needed. Then I make sure these items are all where they’re supposed to be and accessible for the kids. By doing all of this the night before I start a new homeschool week, we avoid a delayed start and I can make the most of my kids’ most productive and attentive hours of the day. 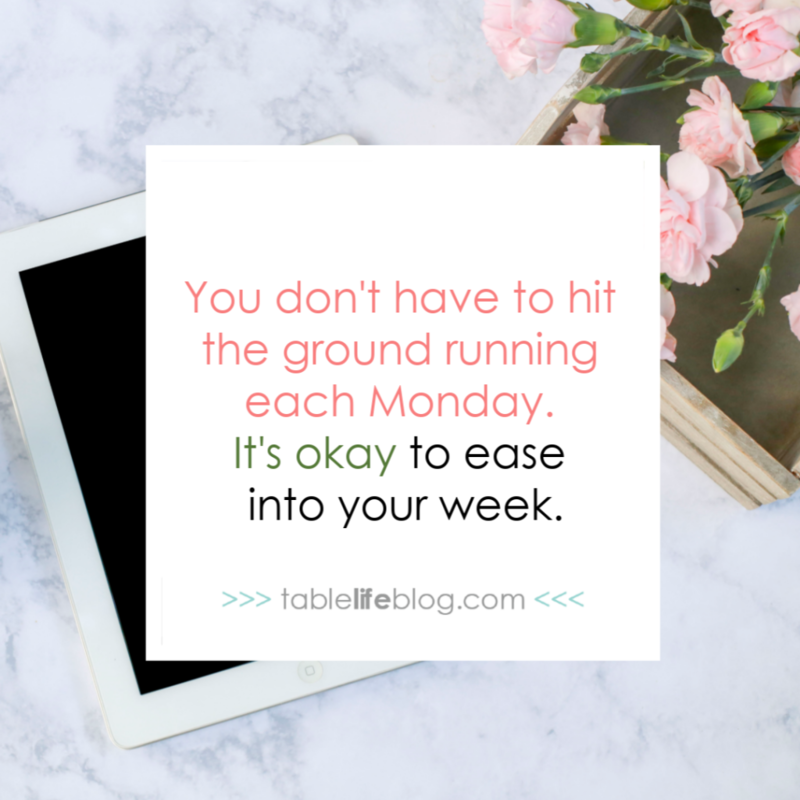 You don’t have to hit the ground running every Monday morning. As a homeschool family, you have the luxury of easing into your new week. Why not take advantage of that? This is true for any homeschool day, but a gentle start can be especially helpful on Mondays because it sets the tone for the rest of the week. How do you ease into your day? Put some interesting books on the table for the kids to read during breakfast. I like to use DK’s Where on Earth?, When on Earth?, and similar library books for this. These books are packed with great information and prime the pump for the rest of our homeschool time. You can also ease into your day by tackling a chapter in your current read-aloud while the kids draw or eat breakfast. 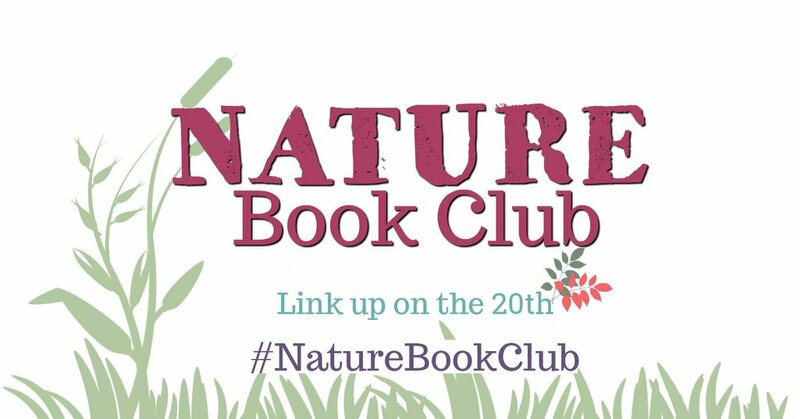 You may even prefer to take a walk outside and start the day with nature journaling. Regardless of what you choose, the rest of the lesson plans will be there waiting for you without the stress and chaos that comes with a hectic start. All of this said, there are times that Mondays will sneak up on all of us and find us unprepared, but hopefully these tips will help make that a rare occurrence for your homeschool. Do you have tips for starting strong each week? If so, share that wisdom in the comments below! I enjoyed this so much. What great advice. I have to say I don’t dread Monday’s now that we are homeschoolers. Monday mornings make me grateful I’m not shipping them all off. 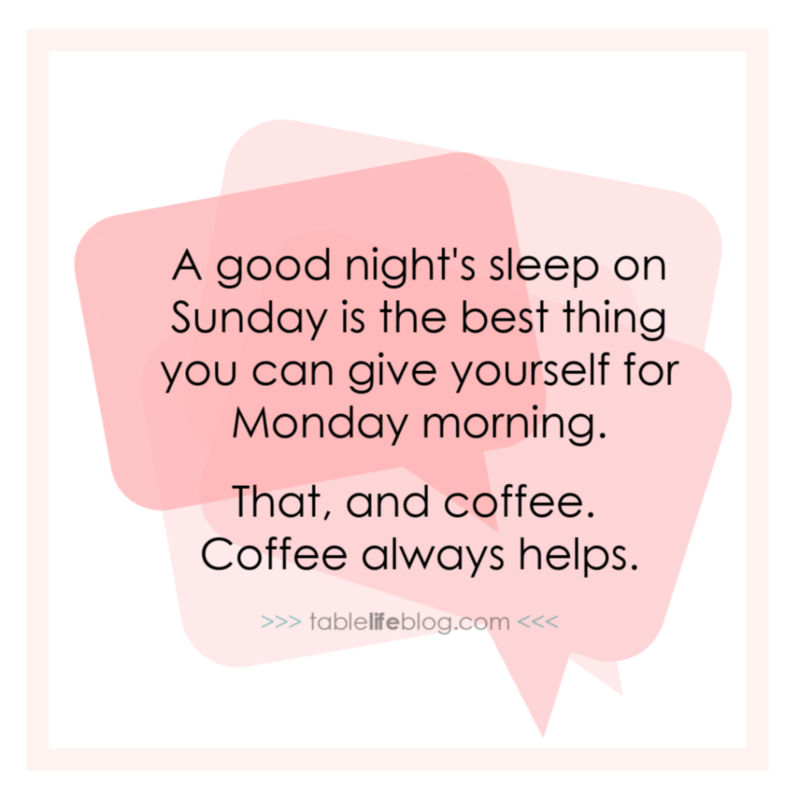 That’s not to say our Monday’s always run smoothly. Haha. It is amazing to me how just a little preparation on Sunday evening and making time with the Lord on Monday morning can make such a huge difference in how the day goes. Thanks for this helpful post! I love this…”keep your homeschool goals in mind but focus on the here and now.” Words of wisdom! Getting a proper amount of rest is important. It seems like everyone goes to bed later on the weekends, so it’s hard to feel rested on Mondays. I love this. It’s all so true. Truth be told, now I actually enjoy Mondays because they offer so much more structure to the day than the weekends do! I understand that feeling. I get out of sorts on the weekends because I thrive under routine. I welcome the normalcy that Mondays bring. I follow these same guidelines with starting back to school after a long break (on a slightly larger scale). Mondays are tough and I find that we tend to start school just a bit later than other days. You got me on the resting part! I’ve been running errands on Sunday afternoons and it leaves us so behind on Monday because I’m tired and the house is usually a mess! I think I will be rearranging a few things! I know what you mean! My hubby’s a pastor, so we have to work hard at finding rest on Sundays. I love this post! What wonderful ideas. We try to pack so much in to the weekends because they are so short. Then wind up so tired on Monday’s. Some nice rest on Sunday is definitely a must. We like to make Monday’s a little lighter as well. I try to make sure not to fuss that we are a little behind. We choose to just do certain subjects on Tuesday, Wednesday, and Thursday for this reason. It has been a HUGE help! You make some wonderful points here! Especially that Mondays set the tone for the rest of the week. I struggle with making Mondays a gentle pace since it’s the day we introduce new material for the week. We also have to get finished by a certain time for everyone’s extracurriculars. Any tips on how to still introduce the new material in a timely manner but not make the day seem so rigid? It may not work the same for you, but I don’t always introduce new material at the beginning of the week. For example, It usually takes us two weeks to work through a math chapter (our lessons have 8 days worth of work). I usually wait until the middle/end of that second week where there are a few math-less days to add something new. That way our introduction doesn’t happen with on a day with a full schedule. If you do choose to start something new at the beginning of the week, consider shifting a couple of your more demanding subjects to the next day or even Wednesday if you can get a way with it. Just moving one time-consuming subject can make a big difference. I really enjoyed your article I the how easy you make it seem. Your web design is also very peaceful. 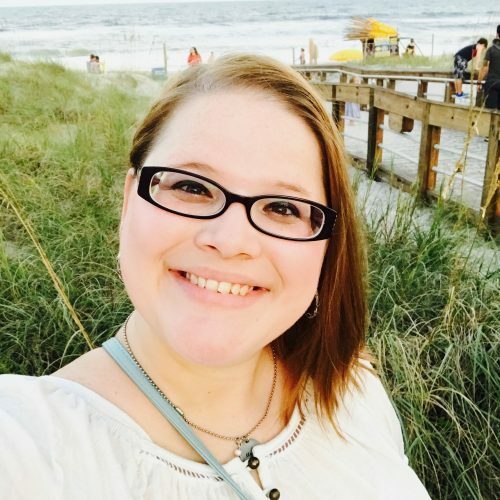 Thanks for sharing, Keep Up The Great Work!